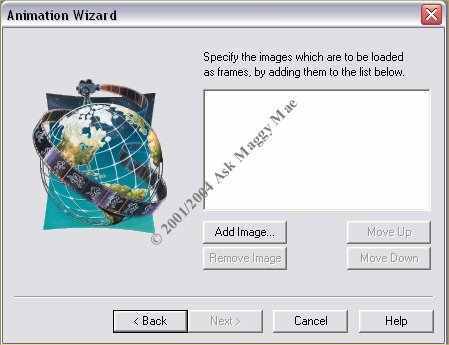 You will first want to determine the size of your largest picture you are wanting to use in your slideshow. There is no worrying about being sure the photos are the same size as Animation Shop will not discriminate the size of the photos. 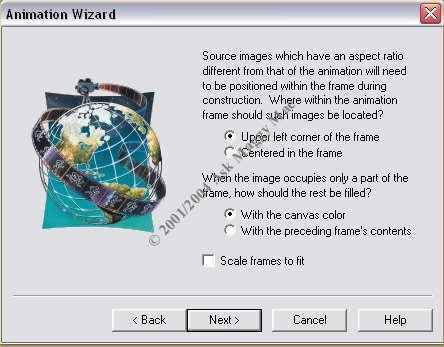 When you are ready to begin, open Animation Shop and Click File then Animation Wizard as shown in the graphic on the left and circled. Your next step will be to decide if you want to create a transparent background or Opaque. 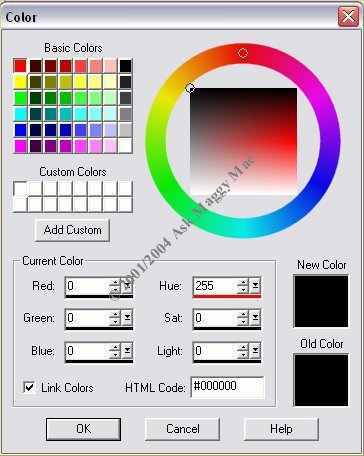 If you choose Opaque if you click on the black box you can change the color in the color chart as shown below. 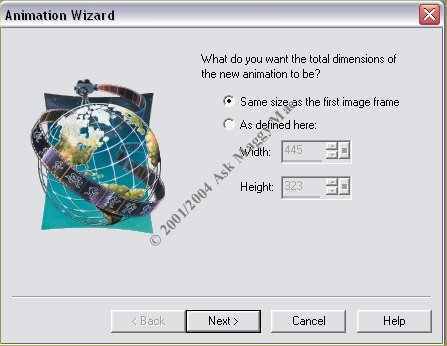 Now you get to tell the wizard where to place the photos that are smaller than your largest photo. Choose between upper left corner or Centered. Also you get to choose how you want the frame to appear if your image does not fill it. Choosing between the canvas color you chose above or the photo before. Or you can choose Scale frames to fit. 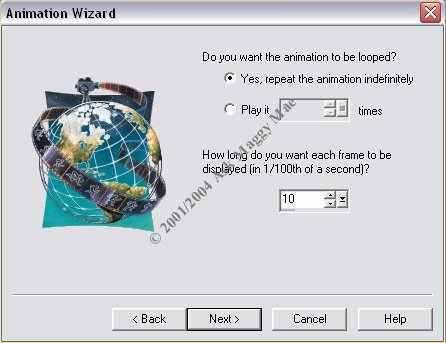 Now you are choosing if you want the animation to be continuous or you want to play it only a certain amount of times. Then you choose the length of the frames. This one is a little tricky. The default is a very fast animation and you will see next to nothing really. The slideshow I provided at the end of this tutorial is made at 120 and it could even be classified as fast. This will all depend on your preferences to what you set this at. 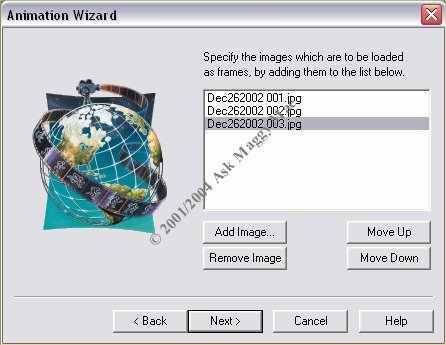 and choose your first image from the window that pops up (shown below). Highlight the image and click open. 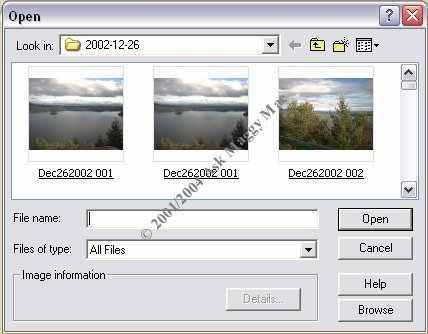 Repeat the process above Clicking Add Image etc until you have included all the images you want in your slide show. 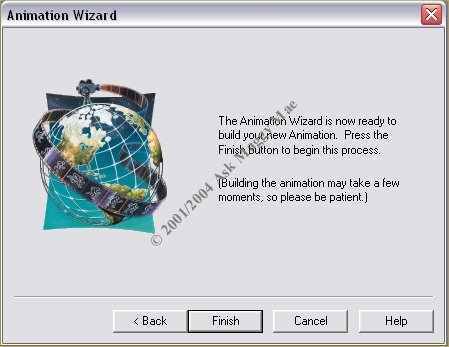 Your animation will then show in the Animation shop with all the frames visible for viewing. 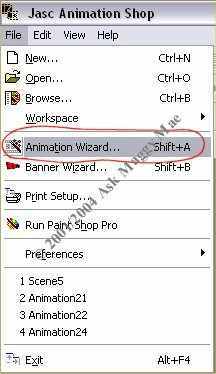 You can further edit your animation if you so wish right from animation shop, or save your animation and upload.